DNA is about a million to a billion times denser and more energy efficient than electronic and disk drive storage and copying. It can be used to construct nanodevices capable of sensing, logic and actuation. 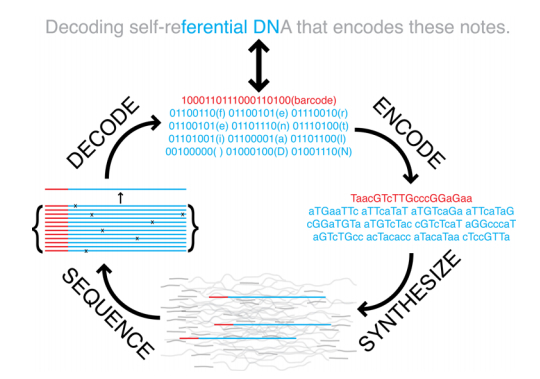 * Scaling up from 0.6 Mbyte book to a 1.2 Gbyte video encoded in DNA. * Scaffolding for nanocircuits, QCA, SET. 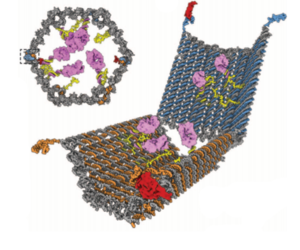 2012 A logic-gated nanorobot for targeted transport of molecular payloads. Science.